Peter L. Galison is a historian, writer, award winning filmmaker and the Pellegrino University Professor in History of Science and Physics at Harvard University. He was appointed a Guggenheim Fellow in 2009, he won the Max Planck Prize in 1999, and was named a MacArthur Foundation Fellow in 1997. Jamie Kruse (of FOP) had the opportunity to sit with him for an hour in mid-October, 2010 and discuss a few points of shared interest. Our conversation with Galison has continued since then through email, and has ranged from the very pragmatic challenges of storing nuclear waste and communicating its dangers into the far future, to how our view of ourselves in relation to the “pure” or “contaminated” landscapes are the outcomes of our national cultural history, and more recently, the events at Fukushima Daiichi in Japan. We also briefly discussed how creative practice, in the form of images and moving images in particular, might provide a necessary space for audiences to engage complex and elusive topics such as secrecy and fear. Galison is currently completing a book, Building Crashing Thinking. This interview discusses ideas in the last chapter of this book, “Wastelands and Wilderness.” FOP presented Galison with a series of images as visual provocations for our discussion. FOP: While visiting the Waste Isolation Pilot Plant’s “WIPP Experience Exhibit” in Carlsbad, NM, we received this sample of 250 million year old Permian salt. 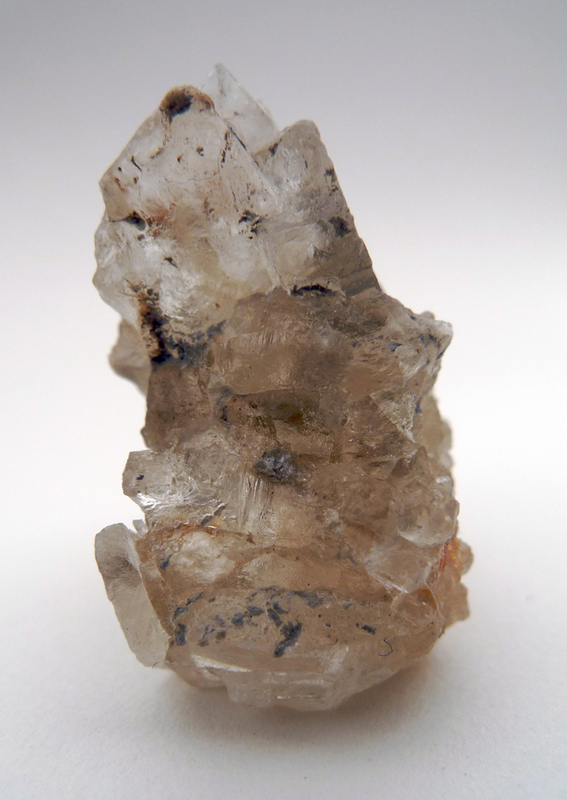 These pieces are part of a large salt formation and were excavated from 2150 feet below the earth’s surface. 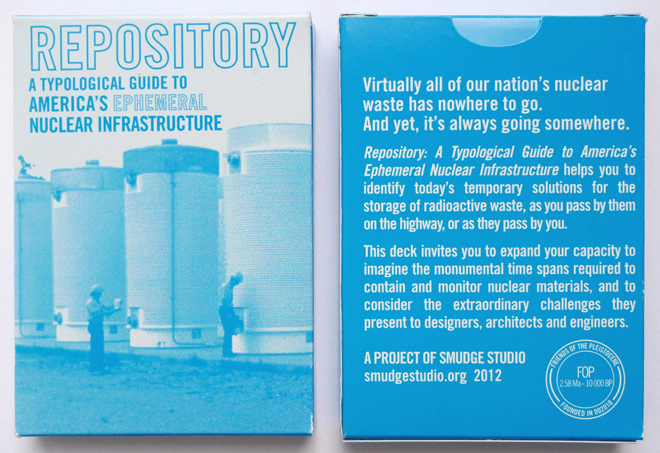 The void created through their extraction is used for the storage of transuranic (beyond uranium on the periodic table) nuclear waste — intended, by WIPP’s design and legislative mandate, to remain undisturbed for the next 10,000 years. What are your thoughts about designing for this span of time and human attempts to mark this site into the deep future? PG: I’ve been thinking a lot about the Waste Isolation Pilot Plant because the WIPP site, about 26 miles from Carlsbad, forces a kind of combination of thoughts that otherwise would be purely optional, a kind of science fiction exercise. Here we find such radically different time scales and all of them are relevant. That salt you have does indeed come from the manifold evaporation and flooding of the Permian Sea across a big swath of the Southwest—during the time before dinosaurs. You could also see it as a sample of mining: for the last decades, the Permian basin has been the site of potash (potassium chloride) and salt mining—and plunging through those layers is an active drilling program that has been finding and excavating oil and gas. In part because it is an active extraction environment, the Environmental Protection Agency has driven the Department of Energy to warn future generations about the transuranic weapons waste that is being deposited in this underground salt layer. This demand for warning puts us in a condition that intrigues me enormously: morally, we have to do it, it seems ethically irresponsible not to try to tell people that there is this plutonium-infested waste. At the same time, the idea of saying something about a future twice as far from us as human written culture lies in the past—or roughly the entire span of time since the ice age—well, that seems utterly impossible. This is a task that’s both impossible and necessary. What could be more interesting than that? In part in writing and in part in filming, I’m interested in trying to use different media to understand sympathetically, not mockingly, what it means for a group of people who are very sophisticated, from semioticians, archaeologists, anthropologists, to metallurgists, futurologists, and SETI (Search for Extra-Terrestrial Intelligence) people, to sit down and talk about this in an effort to signal “don’t dig here” to a future that is 400 generations removed from us. They must consider the role images and icons play in cross-cultural communication. Will a future society emerge technically sophisticated enough to dig and technically incompetent enough not to register radioactivity? Could images prove universal? What role might language play? Can we bet on a Rosetta Stone? What can we assume about the continuity or discontinuity of human political culture? What survives from the past? What can we learn from the archaeological record about what we can interpret and what we can’t? Indian mounds are among the more ancient things we have, and we have no idea what they signify. With Stonehenge we have some fragmentary knowledge about it, and with the Acropolis we have rather a lot of information. Once we have a combination of written and artifactual objects (as in the Acropolis) you can piece things together. So this exercise, in some ways, sort of brings to bear the whole of what we know: historical linguistics, physics, nuclear physics, astronomy, astrophysics, political science —all of these things have bearing on it and at the very least tell us a great deal about who we are. We’re forced to try to apply the sum total of what we know to an extremely difficult, necessary and daunting problem. FOP: In 2005, the EPA issued a standard requiring the disposal facility at Yucca Mountain to protect human health from the dangers of the high-level radioactive waste contained within for a remarkable one million years. This was a vast increase from the previous standard of 10,000 years. We’re very interested in this difference. Humans have difficulty imagining beyond a span of time equal to that of our visible, material past. And it is impossible to project how dynamic earth forces will play out into such an extremely distant future. Given these realities, all attempts to design such a facility become speculative at best and appear to exceed human capabilities. Yet, we are confronted with the reality of finding a way to deal with this waste nonetheless. PG: A million years! Ten thousand is beyond our imagination. But with a million years, you’re talking not only about the possibility of political, linguistic, material processes, but biological evolutionary processes undergoing great changes. A million years ago we weren’t “we,” not in any very immediate, biological as well as cultural sense. A requirement to warn a million years isn’t even science fiction—it is a statement by the controlling agency that they are imposing a demand either to disable the project or to indicate they have no intention of enforcing it. To my knowledge there have been no attempts, no serious attempts, even to imagine what communication across that kind of gap might be with future beings, much less to warn them about a pile of by then relatively harmless radioactive waste. Back to the 10,000-year requirement. An ethical aspect of this project that moves me is that the status quo is not satisfactory. It’s easy to look at these projects of waste disposal and protection from the outside and say, “How could people predict what the future could be, why don’t we just leave the waste where it is? It’s fine, even morally just, to leave it where it was produced.” Well, it’s not fine. It’s in rotting barrels and open pits; it has been left in flood plains and earthquake zones—and in some cases is already blowing and leaching into our environment. If we needed any further evidence of the intense danger of leaving stored waste on the surface in dangerous areas, the catastrophe of Fukushima Daiichi should put such complacency to rest. Newspapers may report the idiocy of leaving waste in rooftop pools atop nuclear reactors in Japan—but we do the same thing here in the United States. How big is the problem? Well, nuclear detritus includes a huge variety of things: everything from hospital waste (contaminated by americium, for example) to sludge from the separation of plutonium during World War II and indeed all throughout the Cold War. The United States produced about 30,000 nuclear weapons and the residue from that atomic race is not in a satisfactory condition now. With floods, and dramatic natural processes that happen, such as the big fires near Los Alamos, it’s simply not okay to just say: “do nothing.” That’s why the effort to safely and responsibly dispose of this waste is a necessary one. But then very soon we’re in a situation predicting the 10,000-year future—or, even worse, the absurdly distant million-year future. 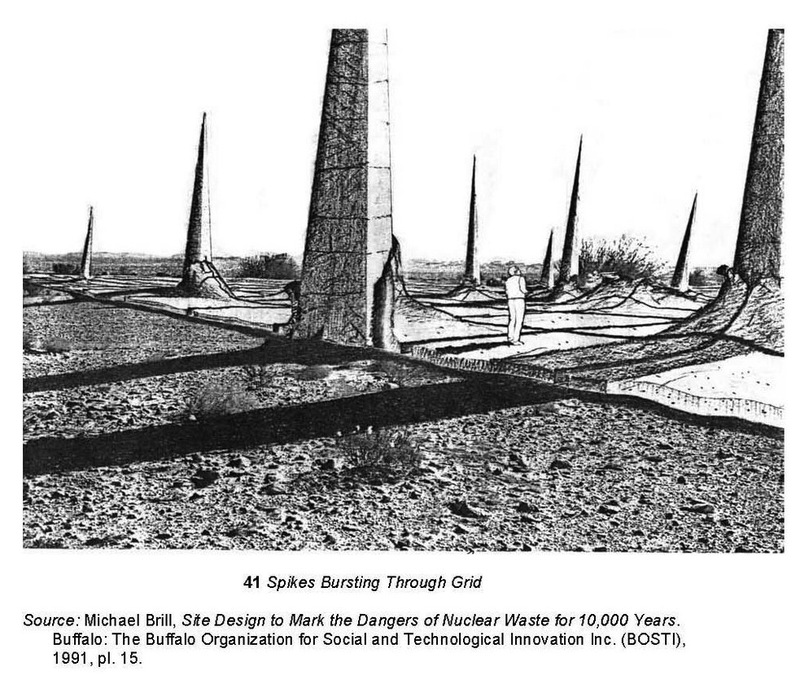 Consider the efforts to think about the future in 1991 [at the WIPP site]. It was organized around an inadvertent intrusion or a geological process that might lead to an escape of the radioactivity. No one was really interested in the idea of terrorism. Ten years later, after September 11, 2001, everyone was interested in terrorism. And that’s ten years- not ten thousand, one hundred thousand or a million. FOP: Yes, the discrepancy between the scales of geologic time and human time needs to be reconciled, or at least considered differently, when it comes to nuclear materials. We hope to use geologic spaces and geologic time to contain what we can’t secure ourselves. Yet, we establish regulations that mandate safety over spans of time we know we can’t guarantee. While nothing moves forward, waste continues to accumulate, posing an ever-menacing threat. It’s hard to not think we’re missing an opportunity to plan and respond differently to the real challenges we face, both in the short and long-term. You have suggested that when landscapes are made into zones of exclusion, we give them the ability to remain wild. When people are restricted from interacting with landscapes, those landscapes support more diversity of life. What keeps wilderness wild, it seems, is the exclusion of humans. It’s as if the only way for us to live in relation to landscape that also keeps it wild is to exclude ourselves from it. This photo is of an area in California, in the Restricted Area R-505 of the Naval Air Weapons Station China Lake. Here, some of the oldest petroglyphs (estimated up to 100,000 images) are being preserved. The petroglyphs illustrate a certain kind of living in relation to the landscape that is no longer possible in this area. Today, our exclusion from this landscape is what protects it. What are your thoughts on this? PG: What ultimately interests me in zones of exclusion is how these spaces, and more generally how material culture, machines, and in this case, landscapes, change understandings of the self – what it means to be human. In a way, I’m interested in a double process. The first part is: what do you have to assume about who we are to make certain kinds of objects or spaces? What do you have to believe about us to think that a Rorschach test or that an inkblot can reveal something about our inner most selves? Once you have a Rorschach test, there’s a second kind of reverse action, one where the objects train us up in a certain way. There are two parts to this question. One is, what do you have to believe about who we are to even think a certain kind of technology is possible, imagined, in any way? And then once you have it, how does it teach us how to be? Once in place, Rorschach tests become a kind of master metaphor for our time. We start to use it in everyday life. We routinely say things like “Your view about nature is just a Rorschach about your contemporary political allegiances.” A hundred years after the inkblots turned to the unconscious, such turns of phrase are by now built into our everyday speech. As such the Rorschach becomes more than a metaphor, more instructional and directive. I am just now finishing a book called Building, Crashing, Thinking about this dual process, how an historically specific self provides a sort of necessary background to the technology, machines, and material aspects of our lives that we make. And how, once we do that, certain of these technologies rear up and change us, tell us how to live, train us how to be in some very deep senses. In the case of exclusion landscapes, the first moment of this back and forth is this: what do you have to believe about humans’ relationship to nature to even think about the very idea of a wilderness or a wasteland? In some ways “wilderness” (in this sense) is an American phenomenon. In Europe the ideas of land “without us” is hard to picture because the land has been used over and over again, and by so many generations. Once you think about wilderness as land too pure for more than an occasional visit, it becomes easier to think about the inverse: land that is too polluted for human use that, like wilderness, is more or less outside our dominion. You start to carve out land like the Nevada Test Site (recently renamed the Nevada National Security Site), a gigantic piece of land, a territory the size of Rhode Island, and you begin to speak about “national sacrifice areas” with all the theological and patriotic resonance of the term. Bit by bit you begin taking pieces of the country, small, medium and large, putting fences around them, posting radiological warning signs, only permitting people in on a bus tour or suited up and sporting radiation badges. In the end, you have twin zones of exclusion: wilderness and wasteland. The lands start to instruct us: here, the exclusion zones say: “you must tread lightly,” “this territory is not yours, you do not belong.” But there is more: we begin to see these exclusion zones of purity and defilement as connected. Nature parks sit on top of wastelands—at a pragmatic level, untrammeled nature helps secure the waste, and simultaneously helps keep people safe by restricting access. Beyond the practical, we become habituated to seeing the two kinds of exclusion zones together: dive the pristine waters of the South Pacific and see, all at once, “untouched” nature and the remnants of nuclear weapons tests. Primeval nature and apocalypse join. We become truly “special” tourists—nuclear tourism has become a big business. And with our “special” authorization to go to these sites, we tour the Nevada Test Site, Chernobyl or, perhaps in the not too distant future, the nuclear coast of Japan. Remediation specialists—even environmentalists—have begun to talk this way. “Nuclear tourism” and “national sacrifice zones” have become commonplace expressions. There’s even a kind of contemplative aspect that is sometimes inscribed in terms of eastern religion, that we’re “guardians” of wastelands or “guardians” of wilderness. I would suggest that we begin to use a new term: waste-wilderness to capture regions like Three Mile Island, Chernobyl, or the Nevada Test Site. Instead of thinking of Wastelands and Wilderness as sitting at opposite ends of a spectrum, we need to readjust our semantic field. Instead of being on a rigid ruler with a spectrum that goes from the infrared to the ultra violet, I suggest that the relation between wilderness and wasteland can, in these sites of exclusion, form something of a different topological order—something more like a bent-metal bracelet that brings the two ends into contact. The following is not my position, but more and more frequently people say, “it might be good for the land to be a little radioactive because then people will stay away.” And yet, this kind of utterance is something that becomes part of the discourse in a strict sense. We get to see people say “well, I’m a systems ecologist, it’s good that the biological lands around Oak Ridge are a little contaminated because it keeps people away and then nature can restore itself to its primeval state.” Again, a form of waste-wilderness—sanctification and defilement join. I’m sometimes misinterpreted as arguing that certain lands are in some essential sense sacred or defiled. I do not hold that view. No, this idea of a sanctified land, far from being mine, is deeply lodged in the American national consciousness. I’m grateful that people who took the land to be sacred established the National Parks system or helped found the notion of wilderness areas. That doesn’t mean we should swim in the whirlpools of those concepts—or that sacralizing land is the only or even the best way of keeping an intact earth. FOP: The borders of these exclusion sites are continuously shifting. They can actually be quite porous, such as the news in March 2010 that contaminated groundwater inside the Nevada Test Site was moving towards the edge of its reservation and would eventually meet a community water supply. It seems as time goes on, there will be no option but for more land to become accepted as waste-wilderness. The “either/or” isn’t going to be able meet the reality of our lived situation. PG: There have been these kinds of problems, such as the Hanford Reach, where nuclear contamination has now escaped the DOE plants and arrived at the Columbia River—far more quickly than the Cold War waste experts expected. I think from a kind of conceptual point of view of trying to understand who we are and what kind of relationship we have to land, this idea of waste-wilderness has really dug itself deep into our awareness. I don’t think it’s an irony, it’s got to do with the ground of the idea. That is to say, there are unexpected consequences to accepting that we are separate from nature: temporary visitors to lands of wilderness, temporary visitors to lands of nuclear waste. For once one starts to think that way, it is a short step to identifying the two kinds of lands, to thinking them together, so to speak. We begin to treat both as a form of real nature, we even begin to think of a kind of priesthood presiding over both kinds of lands. In the limit, we actually identify the two kinds of territory and say things like “radioactivity is good for nature because humans are excluded.” More and more it becomes a habit, a phenomenological habit, to see ourselves as facing a kind of sacred space just in virtue of our exclusion. Imagine yourself standing outside a vast area marked “Ecological Nature Preserve. Nuclear Contamination. Do Not Enter.” We think of this as special land, and ourselves as outside it—post-Romantic tourists into the Forbidden Zone. In short, the waste-wilderness begins to instruct us on who we are—as humans. FOP: I can see how the idea of waste-wilderness helps open a space for public discussion. It’s less radicalized and more nuanced. Even with contamination, plants and animals still live in and upon these landscapes. Alleviating the polarization can assist in creating contexts where people begin to talk and think about them as places we live in relation to rather than outside of. PG: It goes deep into the heart of a lot of the problems that environmentalists have had politically, which I am sympathetic to. When you start to think of wilderness as land without people, you get into all sorts of difficulties. You end up with helicopters strafing the bushes of elephant feeding grounds to kill poachers. I think a lot of the more interesting attempts to save elephants, to take a very different example that doesn’t have a nuclear component, is to try to enlist people who live there in ways that will give them a livelihood so they have a stake in it, such as running a tourist trade. Then its not a no-man zone and its not a free-fire zone and probably turns out to be a better way of keeping the open grazing lands for elephants safe. I think that we got off on the wrong foot more than a 100 years ago when we began to think of the idea of the wilderness area as primeval—if by primeval we understand as that which is absolutely and completely without humans. I think that’s a fantasy. As Cronon, the great environmental historian has pointed out, the wild lands before the settlers were burned regularly in New England by Native Americans to clear the brush so they could hunt. Land has constantly been in motion in all sorts of ways: geology, human intervention—I think there are ways to think about the lands and landscape that takes into account who we think we are, without just a wanton free for all of destruction and development. FOP: Public engagement and investment seems essential—people want to know what is happening on the land near where they live. 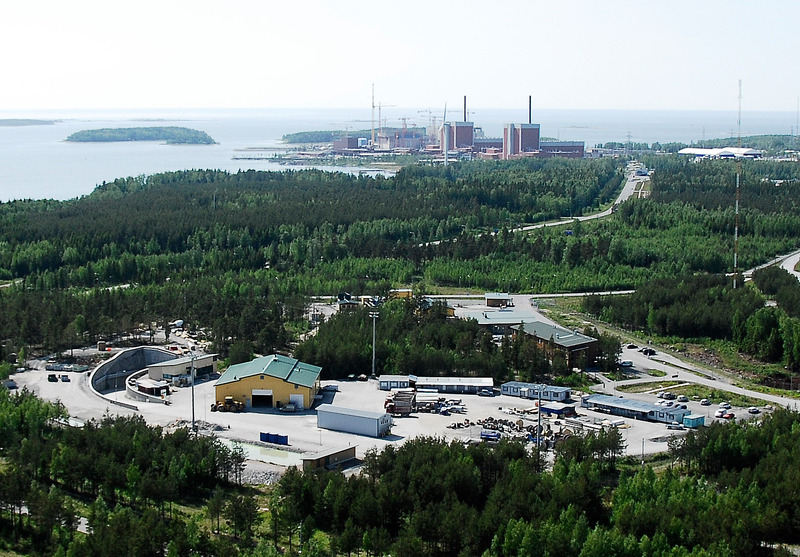 Perhaps Finland has been successful in building Onkalo (the world’s first geologic repository for high level nuclear waste) because of local, public support. The people on the island where the repository is being built have lived near a nuclear power plant since the early 1970s. Public engagement and investment in the issue seems less common in the United States. PG: One of the things that I came away from in writing and filming about national security secrecy is a really deep sense that people need to understand their world around them. They want to understand the world around them. If secrecy is overused, if it is deployed not for genuine issues but to cover embarrassment or protect bureaucratic power, people will make up the meanings to fill the gap. The most secret societies are the most paranoid—and the politics of paranoia and conspiracy are very nasty. You can whip people up into a genocidal rage if they start to believe wild things to explain the disasters that befall them. If you think about World War I, the German government wouldn’t share the fact that they were losing. When the War ended it seemed to many Germans that there must be somebody responsible for this. In the absence of any real discussion and analysis of the causes and conduct of the war, Jews and Communists became scapegoats in the fearful imaginary world that replaced fantasy. Unfortunately, during the Cold War the genuine secrets of nuclear weapons production spread into an out-of-control system of classification and the Department of Energy began using secrecy willy-nilly to hide terrible and embarrassing non-secrets. What were those secrets? They were about atomic workers’ exposure, about radioactivity experiments on uninformed patients; about accidental and intentional emission of radioactive materials into the environment. Nothing is more important in the present moment than transparency about the waste and its disposal—without openness every aspect of the nuclear cycle is condemned forever to meet with terror and resistance. This is a lesson that seems endlessly hard to absorb. I write these words in March 2011, as the world anxiously looks at the six earthquake and tsunami-damaged reactors at Fukushima Daiichi. Throughout the spiraling disaster, the Tokyo Electric Power Company systematically under-estimated, misinformed, and stonewalled on what was actually going on in the reactors and waste pools. When people get fearful, they start to believe all kinds of terrible things. When you exclude things completely people fill in the dark spaces with their imaginations and it’s not always benign. So, I agree with you. I’m not saying that I’d like to see “how to” instructions for binary chemical weapons on the web, I really don’t. We would not be better off. But to remove over-classification is to give us a sense of our world. 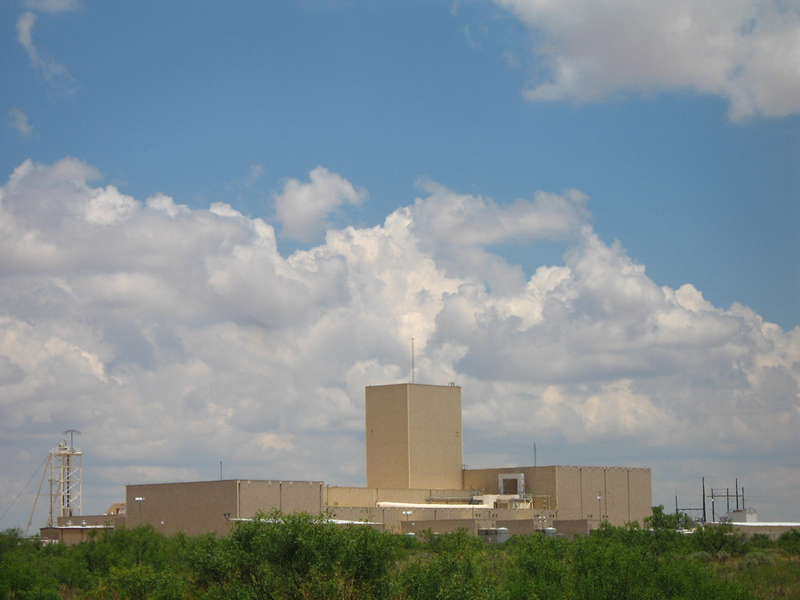 As for the siting of the geological repository, there were many differences between Yucca Mountain and Carlsbad. 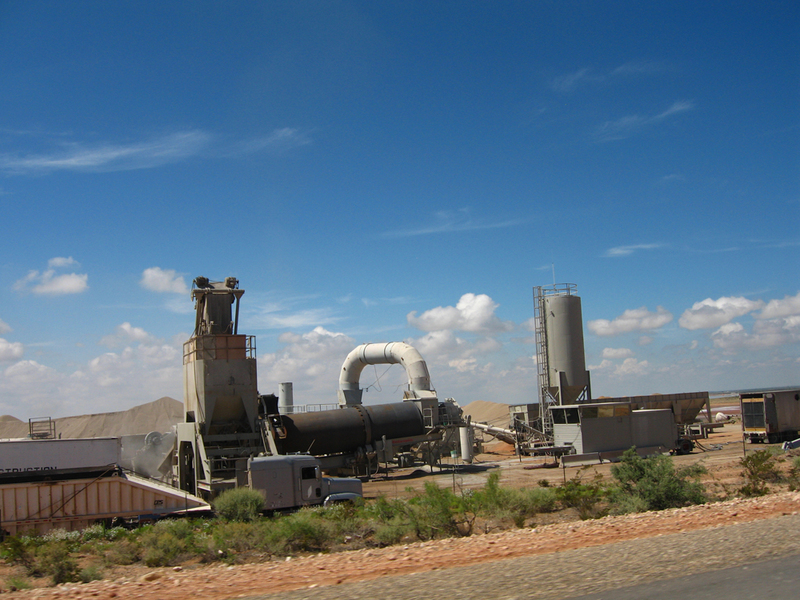 Carlsbad and its surroundings are in a region where extraction industries are commonplace. Drive a bit and you’ll see gas and oil wells, potash mines, trains hauling material out and mining equipment in. It is a region that’s been through hard economic times—and it has a politically conservative populace. For Carlsbad, the WIPP Site has provided hundreds of high-paying and secure jobs with spin-offs and connections to a myriad of already-existing businesses. 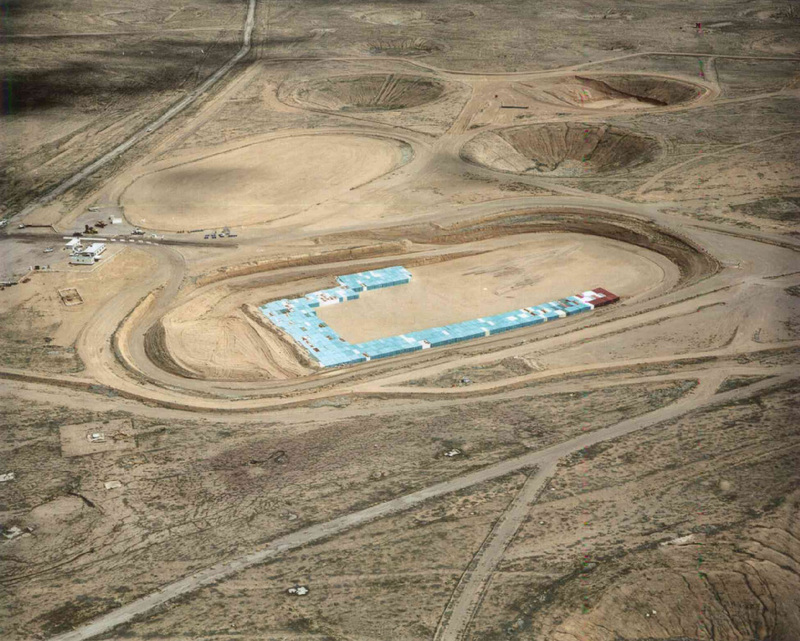 Yucca Mountain was in a very different environment, economically, politically, geologically. Even Northern New Mexico responded very differently to the WIPP proposal—which was fiercely opposed in parts of Santa Fe and Albuquerque, for example. FOP: It seems like it is time to accept the precarity of our current situation, consider the bare facts—and begin to enlist a wide variety of responses. PG: Yes. We cannot and should not act as if we are in 1850 or 1920. It is long past the time when we can hold “primeval” land without people, even as an ideal. I do think that our relationship to the land is changing. Compared to other nations the United States has always had a great deal of land. We’ve sometimes been quite careless with it, as if it would never come to an end. Look, we’ve learned a lot about handling environmental questions over the last few decades, and in particular we’ve learned that we can’t treat humans as if they are alien to pure, primeval land. We have learned, for example, that you do better saving elephants by giving local people an economic stake in photographic tourism than in machine-gunning poachers from helicopters. FOP: As populations continue to grow exponentially, such as in cities like Las Vegas, located just outside the Nevada Test Site, these zones of exclusion will become less remote. Understandings will have to change as cities blend with the waste-wilderness. Throughout your film, Secrecy, you used what might be called an artfully poetic means, including animation, to depict what can’t be seen about secrecy. We sensed that these means were not just illustrative, but were something that invited audiences to activate their imaginations. How do you describe the hybrid means that you’ve created in order to talk about things that spill outside of any single genre or knowledge domain? PG: One of the things written material does well is to parse material analytically. When I was trying to understand the development of the moral political debate about the hydrogen bomb it was at first very confusing. Hans Bethe, Enrico Fermi, J. Robert Oppenheimer—all of them switch their positions many times. They were for the bomb, then against it, on and on. After awhile I began to see that there were these periodization points. There were these moments between the start of the Manhattan Project, the dropping of the bomb on Hiroshima and Nagasaki, the beginning of the Cold War (which many people date to the failure of the Baruch plan which failed to control nuclear weapons in 1947), the Russian test in the summer of 1949, the first H-bomb test in 1952—where you could see how people shifted their positions within these structures. So, with a colleague, I wrote a paper (1) showing how these historical punctuation marks precipitated the shifts in position. Film does that sort of analytic division terribly. Of course film can mark off chapters in imitation of print—but it would always remain awkward and it’s like explaining what a second cousin once removed is. In print, I could draw you a little family diagram in two seconds and you’d never forget it. In film, if someone starts lecturing to you with a five-point argument and a diagram, it is not a film, it’s actually a fake lecture or piece of writing. It would be like trying to write a book in tiny print on a stretched canvas in a frame. You could. But why? What film does, and images can do very differently, is this multiple coding of significance. You have a picture here of a still from Ruth Lingford’s animation that we used in Secrecy. The animation was designed to function as the film’s unconscious, where you would go imaginatively when the characters were describing things, once they passed the zone of exposition. We were searching for weapons of mass destruction in Iraq and you can show images of people looking for weapons of mass destruction in Iraq, in an underground facility, and then at a certain point they begin to imagine, and whether they were in the film, whether they were CIA interrogators, or anti-secrecy advocates, or they were NSA analysts, secrecy always signified more than simple protocols of national security behavior. All of the people that we interviewed had to grapple, one way or another, with the complexities of secrecy—what it meant politically, biblical illusions to secrecy, sexual aspects of secrecy. Secrecy always has a kind of allure and fear. It could be a precipitating event leading to a paranoid illusion about what could be behind that door or that blacked out sentence. So, secrecy is always more than just the literal and that has always interested me from an artistic point of view. The secret is always more, it’s both important in the National Security context, but it’s more than just pragmatic. That aspect of secrecy, the multiple coded nature of secrecy, is something that I think images, and for me film, can get at in a way that purely analytical pieces can’t. If you want to use the possibility of film and image, for me, I want to use them as such, not as stand in for what I can do better in print. In the new film I’m making with Robb Moss—Nuclear Underground—the hope is once again to find a triple intersection of aesthetics, politics, and science. FOP: It will be interesting to see how people in the United States view these zones of exclusion differently if policies of secrecy around them change. We’re interested in seeing how Americans might respond to what has been there the entire time, when these sites are presented as real places, rather than merely forbidden zones of exclusion. PG: When we talk about burying dangerous things, again, you’re in one of the problems that I find very interesting. It’s a very pragmatic issue that has political and regulatory structure. It is a piece of administrative law. But everything nuclear, and things that are nuclear and buried, are already and always in our awareness in other ways. Everyone knows that and that’s why Yucca Mountain is partly an issue of technical aspects of how volcanic tuff rock responds to water and its permeability, but its also about politics, popularity and fear. Harry Reid made cancellation of the site a condition for his putting President Obama over the finish line in the presidential election of 2008. In the domain of nuclear waste, you are never, ever in a purely technical regime. And because this dreaded substance is never just a matter of physics alone, because it grabs our attention like no other form of everyday detritus, we will need all we can muster from words and images. 1) Peter Galison and Barton Bernstein, “‘In any light’: Scientists and the Decision to Build the Hydrogen Bomb,” Historical Studies in the Physical and Biological Sciences 19 (1989): 267-347. Interesting interview. The NTS is far more strange and wonderful than conveyed by Dr. Galison. It is hardly a wasteland, and it is, inadvertently, a kind of museum. I don’t think it fits his somewhat narrow concept of “waste-wilderness”. I worked for 17 years as a geologist on the Yucca Mountain project and I pretty much had free rein in NTS to pursue my research, mainly in areas 25 and 26. It was a fabulous experience. I could write a book. We geologists felt we could barely account for processes within a 10,000 year timeline. As this timeline was pushed out, our efforts to assess geologic, and climatic-related, hazard became an effort to constrain uncertainty. Quite a challenge given that geology is primarily a historical science with few means for prediction. Much effort was spent on how to warn future generations of what was to be emplaced in Yucca Mountain. A warning might be effective for maybe 3000 years, assuming that English would remain a “dead Language” with some knowledge of its meaning. But I doubt any could be kept out of the mountain for that period in our culture, where nothing is taboo and everything is an object of curiosity or a source of potential wealth. The ancient Egyptians tried to solve a similar problem with warning of deadly curses laid upon tomb violators. That did not work out so well. Anyway, the real story of the Yucca Mountain project remains to be told. Maybe my colleagues and I will get around to it someday. By the way, if you are interested in an ancient continental plate boundary, there is a terrific, and famous one, located just west of Boston.